You know the power of fast moving water when you’re forced to “yell” rather than “talk”. 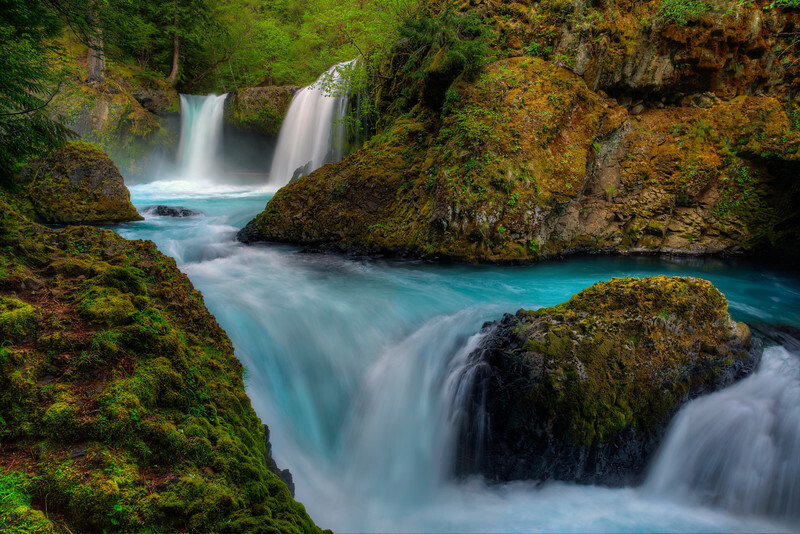 Spirit Falls is one of those places! This narrow chasm of the Little White Salmon River is called Chaos. Kayakers come from all over the world to run this portion of the river every spring. It is one of the most popular class V runs in the country. Gorgeous...love the blue in the water and the wonderful moss on the rocks! Gorgeous shot and i love the water blur!